Light Design is one of the UK’s leading lighting installation companies specialising in a full range of specialist nightclub lighting, video, audio visual, laser, architectural led and led effects products, generics, pyrotechnics and special effects. 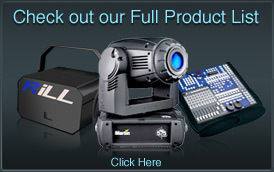 We are main dealers and distributors of all the leading industry standard lighting, video and audio equipment. We also supply many bespoke products so when you combine this with our absolute flexibility you can see why we are recognised as an award winning company. So if you are looking for a company specialising in complete Nightclub installation projects look no further, you have found us. Contact us now as we are here to help. Wherever you are in the UK we can help! We have many teams of highly skilled installation technicians based in London, Birmingham, Lincoln, Manchester, Liverpool, Bristol, and Leeds ready and waiting! Don’t miss out, contact one of our expert project managers today and let us arrange your free on site visit and consultation so you too can have an award winning venue! When it come to choosing equipment for your new nightclub lighting installation, Light Design will be on hand to show you our impressive range of manufacturers and suppliers, we will guarantee to be competitive on price whether you are looking to purchase or hire. We do this using our massive buying power so you can be assured you are dealing with a company at the top of the chain so we can be competitive on price. We are one of the largest independent installers of Martin Lighting in the UK. We are UK distributors for Nova Audio the revolutionary audio sound system from one of the best sound manufacturers in Germany. We are licensed resellers for hundreds of plasma, projectors and LCD screens from the world leading manufacturers like Pioneer, LG, and Panasonic. We are main dealers for media servers like the Hippotiser, UK main distributor for Avolites, the industry standard lighting desk manufacturer. We are UK main dealer for Milos Trussing the industries preferred choice when it comes to custom structures. We stock, supply and are UK distributor for RiLL Lasers, the UK’s best quality professional laser equipment. Put simply Light Design is a high end professional nightclub installation company so the only equipment we don’t supply is cheap rubbish as our award winning reputation depends upon it! 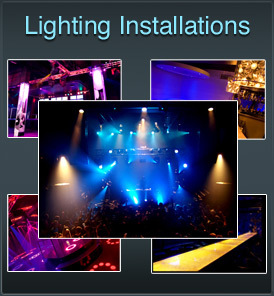 Light Design can offer a range of solutions to fit every night club lighting or lighting installation project budget. We offer fully serviced and maintained, contracted lighting hire where we pay for the product after receipt of a signed 12 month contract and you pay an ongoing weekly or monthly payment so you can have a high end installation with industry standard equipment for a small weekly price. We offer straight forward purchase, which as it suggests, is a you pay and we install service where due to our buying power you can be assured of the very best price combined with Light Design’s very best service. Finally, there are a range of finance options to help you finance your purchase. 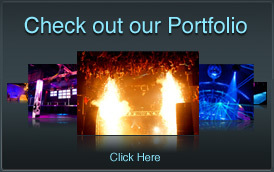 Light Design has in house finance companies that can help you finance your nightclub venue project and help you break the cost down into manageable monthly payments. Whatever you decide, contact Light Design today for you free consultation. We will offer you free advice on the phone to help get you started or attend site with one of our experience project managers with no obligation or commitments. We will give you just plain good old fashion advice for free! Light Design is a leading, lighting installation company specialising in supplying high end nightclub lighting solutions to the late night club bar industry. Our innovative lighting designs have seen us be recognised as an award winning company. We are flexible in all aspects of design and are here to help, guiding you through every step of your nightclub project, no matter how large or small. Join our already impressive portfolio of happy customers who are miles ahead of their competition in both design and technology with their increased trade and profits due to their new look venues! Who knows maybe you will be our next award winning venue! So don’t delay contact us today!